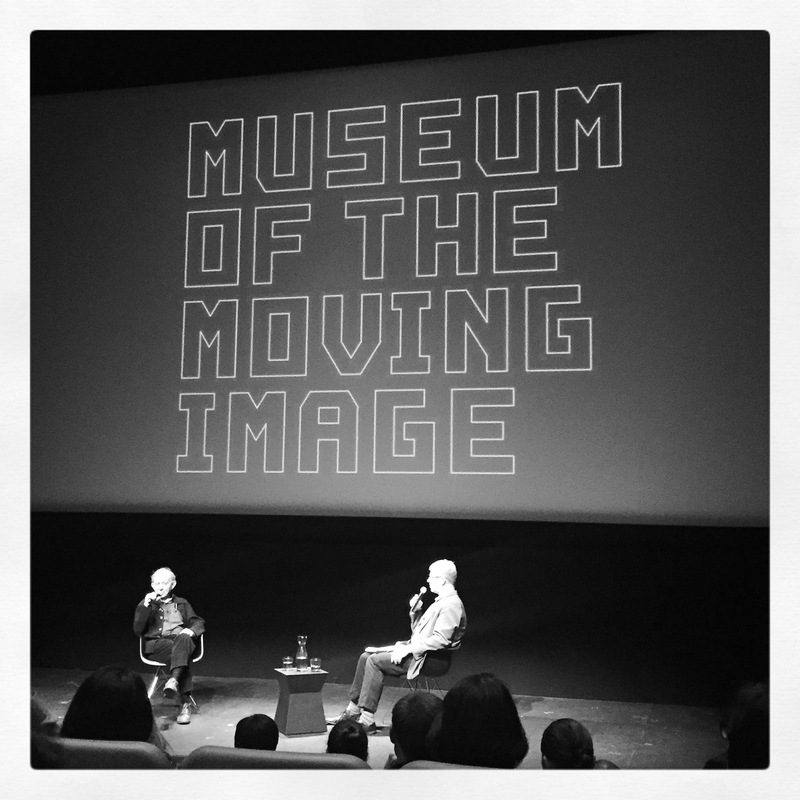 Frederick Wiseman in conversation with MOMI chief curator David Schwartz. Wiseman declined a request to send Stanley Kubrick a complimentary print of one of his films, making him pay to rent it. Later he found Kubrick had cribbed the first half of Full Metal Jacket (1987) “shot for shot” from his Basic Training (1971). Wiseman then drily drew the audience’s attention to the similarities between Arthur Hiller’s drama The Hospital (1971), which won an Oscar for writer Paddy Chayefsky, and Wiseman’s own Hospital (1970). He quipped dismissively that Errol Morris’ description of him as “the undisputed king of misanthropic cinema” (from a Paris Review article reprinted in MOMI’s hand-out) was “classic projection”. This entry was posted in Film, Reviews and tagged 2015, Arthur Hiller, Basic Training, David Schwartz, Errol Morris, Frederick Wiseman, In Jackson Heights, Law And Order, MOMI, Museum of the Moving Image, New York, October, Paddy Chayefsky, Stanley Kubrick, The Hospital. Bookmark the permalink.